Le Vot will take Munoz' place at Nissan North America's headquarters in Nashville. 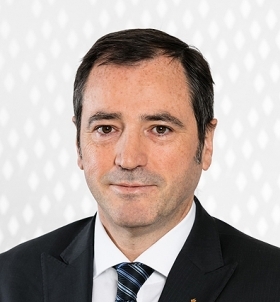 NASHVILLE -- Nissan is tapping a Renault executive with a deep background in the European and Russian auto industry to take over as chairman of Nissan North America. Denis Le Vot, 52, a Frenchman who joined Renault in 1990, will succeed Jose Munoz as Nissan's top North American leader, effective Jan. 16, Nissan said Wednesday. But Le Vot will report to Munoz, who also serves as Nissan's global chief performance officer. Munoz was tasked with the difficult and controversial mission of raising Nissan and Infiniti's combined U.S. market share to 10 percent by March 31 of this year -- a task he managed to achieve by a whisker despite hackles of criticism and warnings from competitors, dealers and outsiders around the industry. The Nissan executive board in Yokohama, Japan, approved the appointment in a meeting on Tuesday.